Congress shall make no law respecting an establishment of religion, or prohibiting the free exercise thereof; or abridging the freedom of speech, or of the press; or the right of the people peaceably to assemble, and to petition the Government for a redress of grievances. I have created a petition, citing this amendment to protect Julian from any charges they may pursue as seen above. If stating the truth about the government is a crime, we are no longer living in a free Republic, but under a tyrannical rule of authority. According to the second amendment we have rights to bear arms to defend ourselves against such tryrannical leadership. If the press cannot keep it’s sources and leaks anonymous, then every MSM source should be charged as well. This includes CNN, MSNBC,ABC, NBC, the NY Times etc who routinely cite “sources say”. Please if you value your right to freedom, don’t let this happen. Sign the petition. Also, Julian Assange is one of the few journalists left who report true and accurate news. If we allow this to happen, it is showing news sources that it is okay to release fake news, as long as it keeps the government’s agenda in mind. If it were not for Assange, Hillary would have won the election. He released John Podesta’s emails which contained proof that Hillary is a corrupt criminal who needs to be prosecuted. Arresting Assange is like saying Hillary is not evil and shows the government supports her corruption. It would almost be like the current administration is calling the leaks fake. We have to do something. Julian has been in asylum for 7 years. He has not seen his family in just as long. 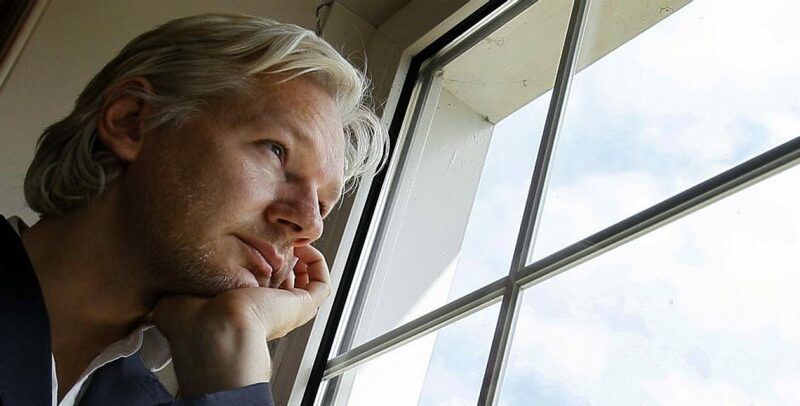 He has never been charged with anything and is being held specifically so that the US Deep State can create false charges to expedite him and maybe even torture him to get him to release leakers’ names. This is wrong across the board. He recently released Vault7 which exposes the corruption and spying on American citizens by the CIA through Smartphones, computers and Smart TV’s. This is the real reason they are talking about going after him right now. Not because he committed any crime. He EXPOSED THE TRUTH! Do not allow this to happen if you are an American and support our rights as citizens. This is a direct violation of the Constitution. Sign the petition. Send your Congress letters. Send Jeff Sessions a letter. Write a letter to President Trump. We cannot allow this act of tyranny!